“We’ve done everything medically possible — there’s nothing more we can do.” Those are the words every parent hopes to never, ever hear. But for mother Joyce Smith, the ultimate nightmare of losing a child very nearly became a reality had it not been for the healing power of God. Now, best-selling book “The Impossible: The Miraculous Story of a Mother’s Faith and Her Child’s Resurrection” is hitting the big screens as a feature-length movie titled “Breakthrough.” Oh, and the executive producer is none other than NBA superstar Stephen Curry. Needless to say, this is destined to be an absolutely incredible movie. Here we go! Here’s the trailer for #BreakthroughMovie! In theaters Easter 2019 ? In 2015, Joyce’s 14-year-old son, John, fell through the ice while hanging out with friends at Lake Saint Louise. By the time first responders arrived on the scene, John had been underwater for around 15 minutes. By all accounts, he was dead. As depicted in the movie, by the time rescue divers arrived, they believed it would be a “recovery, not a rescue,” and were convinced that they would be plucking out a dead body from the frigid waters. Based on an impossible true story, Breakthrough is an enthralling reminder that faith and love can create a mountain of hope … and sometimes even a miracle. 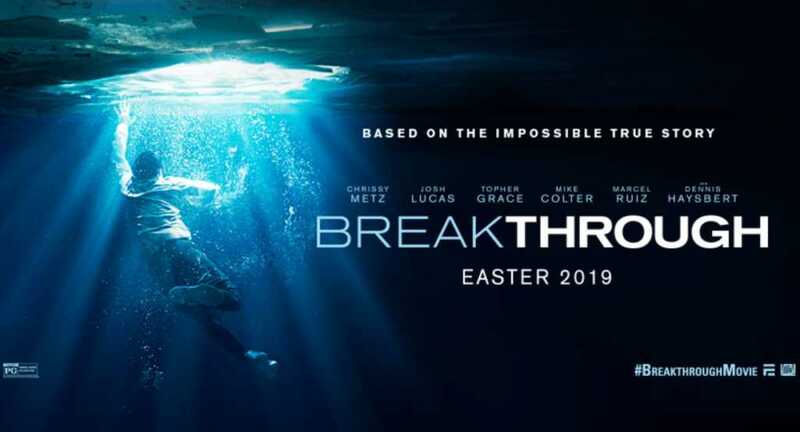 Honored to be a small part of this special project, but you’ll have to see it in theaters to find out how:) Check out the brand-new trailer and make plans to see Breakthrough Easter 2019! Eventually, John was hauled from the icy depths and rushed to hospital. There, doctors quickly gave up on the youngster making any sort of recovery. But Joyce was not going to give up that easily. She immediately cried out to God for help and asked Him to revive her son back to life. Then, by way of a sheer miracle, the Holy Spirit broke through. “They hadn’t been getting a pulse at that time, so all of a sudden I heard them saying, ‘We got a pulse, we got a pulse. '” Joyce recalled. The doctors were convinced that John would be severely brain damaged due to the prolonged oxygen starvation. But still, Joyce pressed in, pleading with the Lord to heal him. Quickly, the call to prayer spread like wildfire across social media. “Facebook was just blowing up,” Joyce explained. “My phone was coming off the wall People sending me scriptures that they were praying for John.” Incredibly, John began to recover. Then, on February 4th, just over a couple weeks after falling through the ice, the brave young man walked out of the hospital with absolutely no long-lasting physical effects from the accident. “It’s a bonafide miracle,” said Dr. Garrett, one of the physicians who treated John. “God is there to show up for us at our time of need and do miraculous things for us,” Joyce said of the whole ordeal. “Jesus Christ is a miracle worker,” he declared. “Breakthrough,” starring Chrissy Metz, Josh Lucas, Topher Grace, Mike Colter, Sam Trammell and Dennis Haysbert. It will hit theaters April 12 of next year to coincide with Easter weekend.